I think in today's generation their is a passion for doing something or we can say anything. People love to do difficult tasks which having some challenge. Moreover on internet they earn money for their own sake. For earning a good amount of money($), i think their is no best option rather than building an blog/website. But as we all know that create an website or blog is easy but, to maintain it, is quite difficult. Well i think we are ignoring our topic loll!! So now, with the help of this article i would like to tell about freelancing. I know that 85% of people are very much aware of freelancing. Now the question is arise : What is Freelancing? Freelancer? Freelancer, freelance worker, or freelance is somebody who is self-employed and is not committed to a particular employer long term. In short freelancing is a job in which you are the boss and worker itself. Freelancing is a platform where you are work for yourself. It is a technique to establish yourself. Only you have to increase your writing skills, your vocabulary, grammar section, way of presentation etc, i think its enough. There are so many topics in freelancing, you have to write on these topics, its mainly include music, journalism, publishing, film making, photojournalism, editing, event management, copy editing, indexing, computer programming, web design, website development, video editing, video production. Below their are some tips and technique and if you are able to follow all these, then i am sure you become an top freelancer from today. Have a look!! 1) If you really think that you have a capability to enhance yourself, and you think that you can present your data/content in a present full way then only you can enter the world of freelancer. Otherwise, it depends on you. 2) While you are starting your job, firstly think and then plan of action. You can start as a part time job and slowly ease into it. 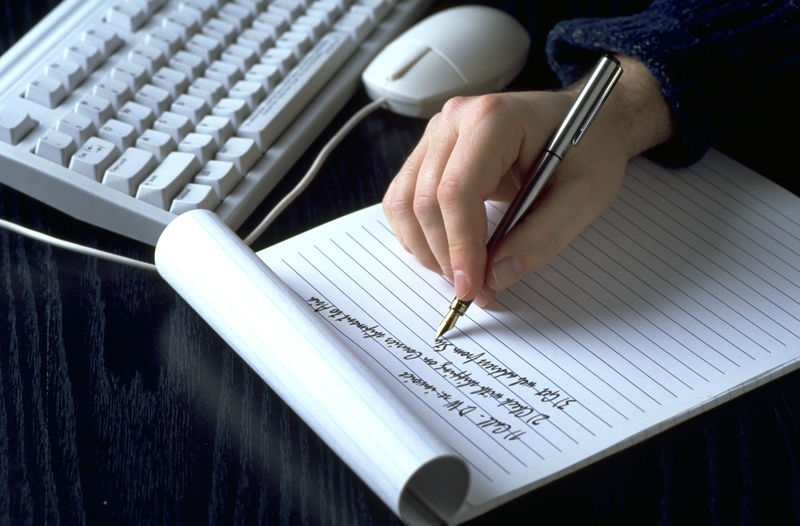 Good writers are always in demand, especially when it comes to freelancing. 3) Third point is Answering and questioning. You have to build good relationship with your clients, bloggers, readers etc. When their is a problem relates to your article and anyone ask you something then you available their to answer that particular question. Don’t be discouraged when a customer complains. In fact, ask your client if he has got any complains. That shows your professionalism towards your work. Are you comfortable while writing? Can you able to handle its ingredients? Can you able to express the article with full clarity? Can your readers/clients are able to understand what do want to convey with this article? Do you have full knowledge about your post? Do you have full commands on your spelling & grammar section? Are you able to answer your clients doubts after publishing your article? Answer these questions to yourself while standing in front of mirror. Print writing:- It includes Magazines, trade publications, newspapers, newsletters, etc. Online Writing:- It includes Blog writing, content writing, etc. Now you have to decide what kind of method you have to adopt. 6) Always learn to say “YES”or “NO”. Don't hesitate. Don’t say “yes” to other client if you have no time. Focus on your current customer. You always want to make sure you have enough time to give your current clients the best service you can. 7) Catch your customer attraction. If you really want to look like an professionalism freelancer then you must create an eye catching logo for your website. You have to build your site reputation. 8) Look around your market condition. Make your both eye took an deep research over market condition. Learn a few essential marketing tips, such as how to call a possible client etc. Google around, you will find thousand of material. Always look forward what kind of article your readers want. 9) Show your professionalism work to your clients. When you are interacting with your clients, communicate with a soft voice and it should be up to the point. In that case, your portfolio play an important role, so fill it carefully. Keep in mind, don’t argue with your clients. Be friendly with your clients, but don’t be casual. 10) Promotion, Advertise yourself is the last tip for becoming an successful freelancer. Create your professional portfolio in which you describe your specialty, your experience etc. You can also promote it on your social media sites like Facebook, Twitter, Google+ etc. As we all know that social media has a wide platform where everyone can advertise their work very easily and also get success in a very short period of time.